The ability to appear cool and casual with the right amount of elegance and sophistication. That's confidence. 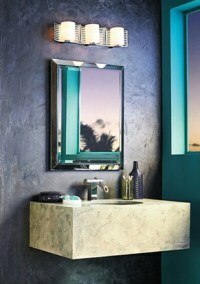 Make a confident statement by infusing your personal style with the lastest in home décor and lighting. 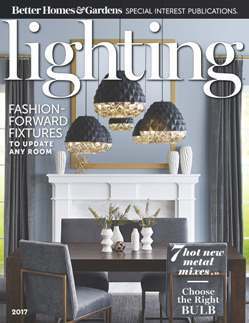 To learn more about mixed-metals lighting as well as other lighting trends, pick up a copy of Lighting magazine at an ALA-member showroom. There you will find professionally trained experts to show you all the latest lighting technology and trends. 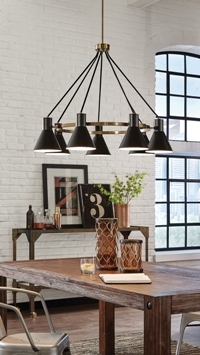 Visit an ALA-member showroom for a free Lighting magazine and expert advice. For example, the color of your light fixture is just one of the considerations to make in the overal composition of your room. If you lean neutral in your décor, use a richer material -- a deeply painted metal or wood -- so your chandelier works as a grounding element. 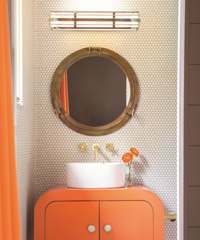 Or, in a more brightly hued space, pick one of the secondary colors, and use it to guide your color choice of drum shades for mini pendants. For more home lighting ideas, pick up a complimentary copy of Lighting magazine at an ALA-member showroom or view it online. Lighting is also available for purchase on newsstands. What is the best LED lighting for a 6x8-ft. bathroom? The only light will be above the mirror over the vanity. 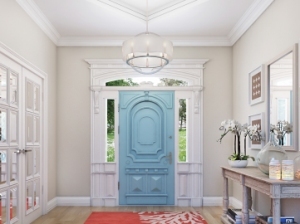 -Sara K.
To look at the many options available, visit an ALA-member showroom where a certified lighting consultant can show you a variety of design options.